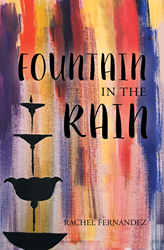 Recent release “Fountain in the Rain” from Page Publishing author Rachel Fernandez is both entertaining and dramatic; this work takes the reader on a journey through time to understand the grief of death. Rachel Fernandez, an artist, business owner, pianist, animal lover, devoted writer and author, has completed her new book, “Fountain in the Rain”: a passionately crafted work that portrays the beauty of life and self-worth. Published by New York City-based Page Publishing, Rachel Fernandez’s prolific work of fiction explores the ideas of personal identity and finding one’s self. Set in the small southern town of Corbelham, Alabama in 2015, “Fountain in the Rain” tells the story of Rebecca Hamilton and how she faces the tragic death of her grandfather, whom she was very close to. When she revisits the city’s fountain, where she and her grandfather made many memories together, her life takes an unexpected turn. Follow Rebecca as she is taken back to the year 1920, where she meets her grandfather as a young boy, escapes a ruthless police chief, encounters the town’s feared witch, and falls in love with Corbelham’s most wanted criminal. This story brings out feelings of trust and compassion, all the while incorporating fantastical adventure. Readers who wish to experience this mesmerizing work can purchase “Fountain in the Rain” at bookstores everywhere, or online at the Apple iTunes store, Amazon, Google Play or Barnes and Noble.